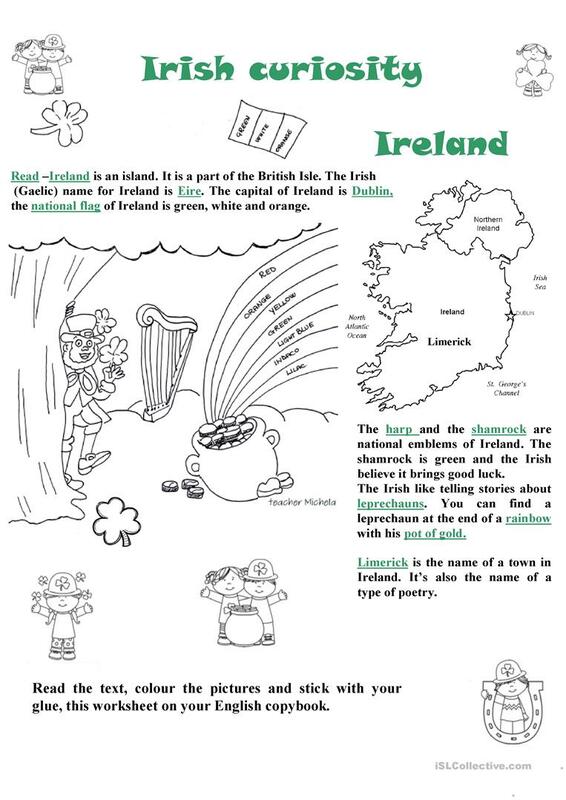 I created this worksheet with my drawing to speak /tell about St. Patrick's Day. It's a simply reading but you can add all the activities you prefer ( questions, true/false...). It's useful to revise or practice spelling ( the words underlined), I hope you like it and find it useful for your class! The present printable, downloadable handout is intended for high school students, elementary school students and students with special educational needs, learning difficulties, e.g. dyslexia at Elementary (A1) and Pre-intermediate (A2) level. It is a valuable material for enhancing your students' Spelling, Speaking and Reading skills. It focuses on the theme of St.Patrick's day. I teach English language, maths,science,music, P.E, C.I.T in a primary school . I like create black and white worksheets so my students can colour them and be relax at the end of the lessons.